Sichuan Province (四川) is in China's Southwestern region. It is currently experiencing a surge of development as China continues industrial and commercial expansion into the hinterland. 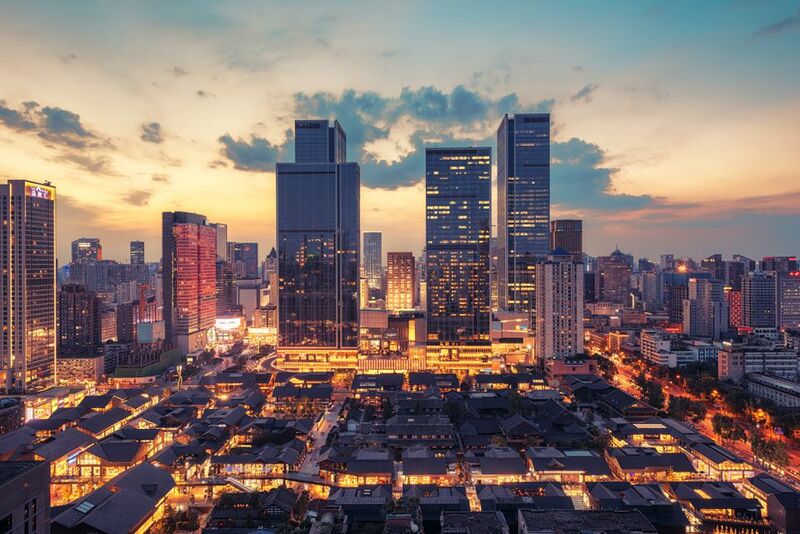 Chengdu, the capital of Sichuan Province, in particular, is experiencing rapid growth as one of China's important "second-tier cities" and is therefore receiving a lot of investment from the central government. To get a grip on the weather in Sichuan, you need to understand a bit about Southwestern China Weather. But this won't give you all the facts because, of course, dependent on where you're going in Sichuan, and what time of year, the weather will be quite different. Chengdu is in a basin with mountains around it. Therefore it experiences quite a hot and humid summer compared to the mountainous areas around it. Much of the famous scenic attractions are in the northern part of Sichuan at very high altitudes, so here the weather will be quite different from Chengdu. You'll have cool temperatures even in the summer at high altitude places like Jiuzhaigou and Huanglong and the winters there are extreme. Most visitors make Chengdu their entry and exit point for Sichuan Province travel. Chengdu Shangliu International Airport is connected to most major cities in China and also has a few international flights to Hong Kong, Malaysia, Thailand, South Korea, Singapore, and Taiwan (to name a few). Chengdu is also well connected by rail and long-distance bus. Chengdu is one of the few places in China from which you can fly on to Lhasa so it also serves as a gateway to visiting the Tibetan Autonomous Region. Sichuan Province is home to UNESCO World Heritage sights, beautiful nature reserves, amazing cuisine, many Chinese ethnic minorities, and their cultures as well as its own unique western Chinese culture. A chance to see Giant Pandas up close is a huge attraction for people visiting the province, and for many, the main reason for going to Sichuan. Chengdu's Giant Panda Breeding Base is a very good place to have a close encounter with a Giant Panda. Visiting Chengdu - Follow the links below to read about a number of suggestions for visiting Chengdu and sightseeing around the city (and beyond). There is much to see and do in the city itself and plenty to fill up a few day-trips using Chengdu as a base. Make sure you include some time simply to walk around the city and spend some time in Chengdu's lovely parks. Unlike other huge metropolis parks in China, you'll find Chengdu's parks filled with locals relaxing, playing cards and mahjong and drinking tea. Chengdu has a slower pace than its eastern cousins and a truly different vibe. On the UNESCO List - These are listed on the UNESCO World Heritage list and do indeed make up some of Sichuan's most amazing attractions. Some can be seen using Chengdu as a base. Visiting Tibetan Regions - Many visitors don't realize that parts of Sichuan Province were historically part of greater Tibet. In Tibetan, these regions are called "Kham" or "Amdo" (both of these historic regions are found in present-day Sichuan). You'll find a number of Tibetan counties and visitors can experience authentic Tibetan culture that is sometimes under less scrutiny than that of the Tibetan Autonomous Region itself. Sichuan Cuisine is famous throughout China and one of the most popular cuisines in big cities outside Sichuan Province. But it stands to reason that the best place to experience this spicy fare is in Sichuan itself. Here are some good options.